He conducted seminars in theoretical and measurement electrotechnics at the Technical university of Sofia. He read lectures in calculating machines, electronics, radiotechnical measurements, discrete mathematics, computer’s architecture, and computer networks at the Sofia University “Saint Kliment Ohridski”. He read lectures also at the University of national and world economy and at the New Bulgarian University. He read lectures in Poland – at the International center in Banah, also in Finland – at the technical university of Helsinki, in Aachen, Germany, etc. He was supervising the dissertations of 32 candidates for doctors of sciences. He is author and co-author of more than 200 scientific publications, 36 books and textbooks, 23 inventors` certificates, 30 popular science articles. He executed and managed over 45 projects at value of more than 100 million Bulgarian leva as well as 50 international and national projects. In 1966 he was a manager in the Central institute for computing. In 1982 he became Head of the department for Microcomputer and microprocessor systems at the same institute. In 1985 he became Head of the Computing systems and network of computing machines laboratory at the Bulgarian Academy of sciences. In 1986 he was appointed Director of the Microprocessor technologies institute. In the period 1993-1996 he was a director of the Coordination center for Informatics and computing technologies of the Bulgarian Academy of sciences. In the period 2004-2010 he was director of the Institute for parallel processing of the Bulgarian Academy of sciences. He was a member of numerous scientific and special councils of the Higher commission of attestation, vice-president of the Higher commission of attestation, member of the presidium of the Higher commission of attestation. He participated in national and international editing bodies. He was a chief editor of “Information Technology and Control” magazine. 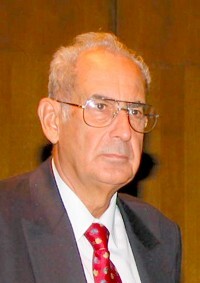 He is a member of the Union of the Bulgarian scientists since 1960 (secretary general 1990), president of the Bulgarian branch chamber for Informatics and electronic industry (1991-1995), president of UNICOM-B (1992-1999), president of the Bulgarian research and educational network (2009). In the period 1987-1991 he is the Head Bulgarian constructor of personal computers. Since 1997 he is representative of the Bulgarian republic in IF (member of the Management board 1998-2001). He also represents Bulgaria in ICCC, EARN, TERENA and other international organizations.